Cannot Leave Homegroup in Windows 7! What to do Next? If you cannot leave homegroup in Windows 7 by receiving the message "Windows couldn't remove your computer from the homegroup" after trying to do it in homegroup window, probably you need to disable the services which are related to homegroup and then try again. I don’t quite know why this problem could happen, probably it's due to homegroup service or dll files problem. Anyway, if you have not tried, you should use homegroup troubleshooter (Start the HomeGroup troubleshooter option) to troubleshoot the problem first before trying the options shown below. 1) As usual, go to Start and click on Control Panel. 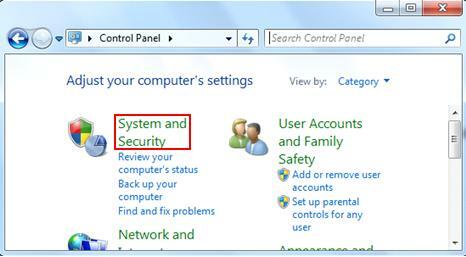 2) Control Panel window will appear, click on System and Security. 3) Proceed to click on Administrative Tools. 4) Double click on Services in Administrative tools window. 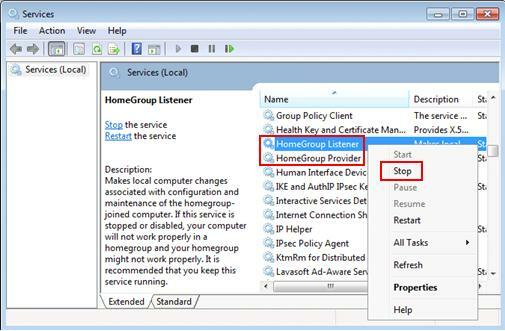 5) Locate following 2 services, right click each service and then stop it, after that try to leave homegroup again. Hope this helps. Note: Please note you can only see HomeGroup Listener service if you do not log on as administrator. If you can only see HomeGroup Provider service, stop this service and try to leave the homegroup. Note: If you still fail to leave the homegroup with above approach, try to rename the following file and try again. Probably the file is corrupted. 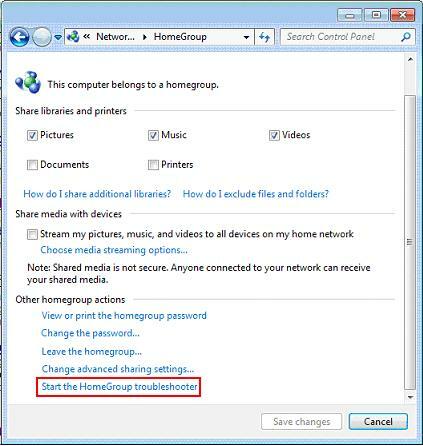 You can try by clicking Start the HomeGroup troubleshooter option again on homegroup window too. Return to top of "Cannot Leave Homegroup in Windows 7! What to do Next?"! !